Great looking shirt in white with coloured horizontal stripes. 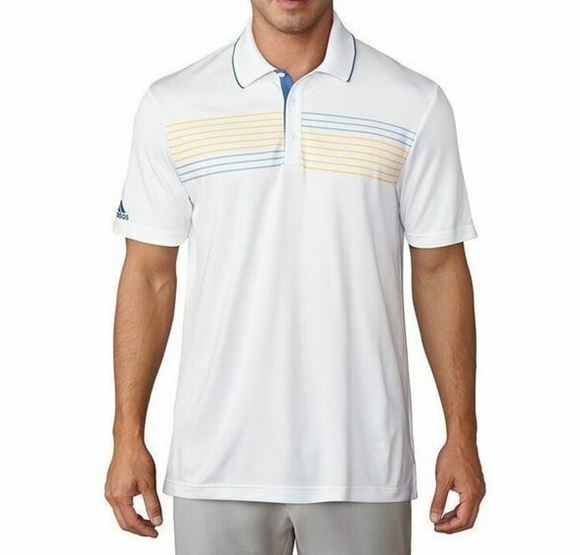 3 button placket design along with fabric features: Sun protection and moisture wicking. 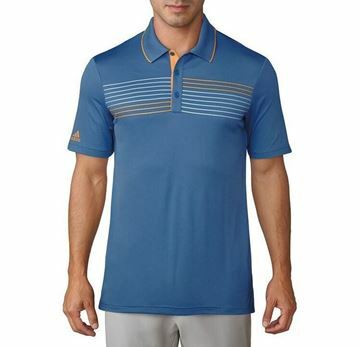 Adidas polo shirt in blue with horizontal coloured stripes. Moisture wicking tech fabric keeps you cool and dry. Lightweight and comfortable. 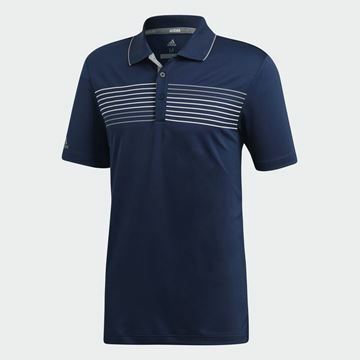 Classic 3-stripe design in navy. The Adidas essentials polo shirts made from a comfortable polyester fabric that is lightweight and breathable.